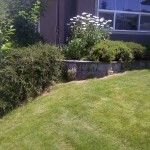 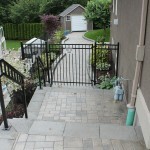 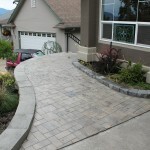 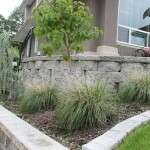 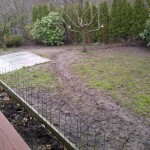 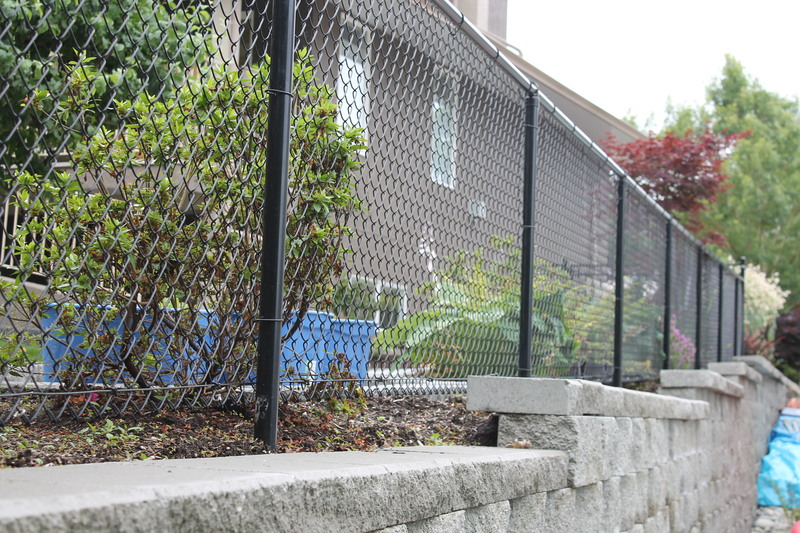 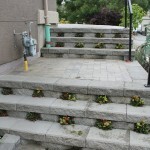 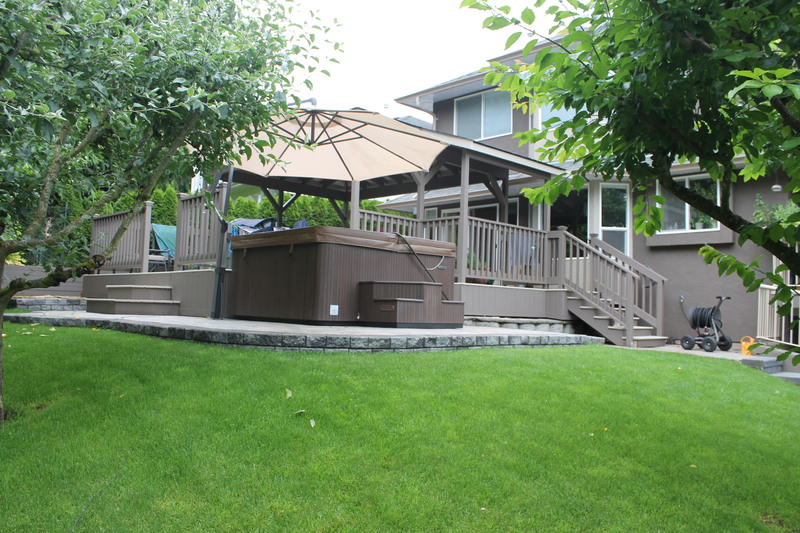 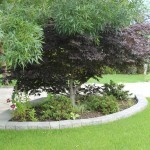 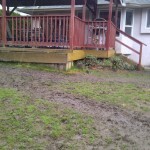 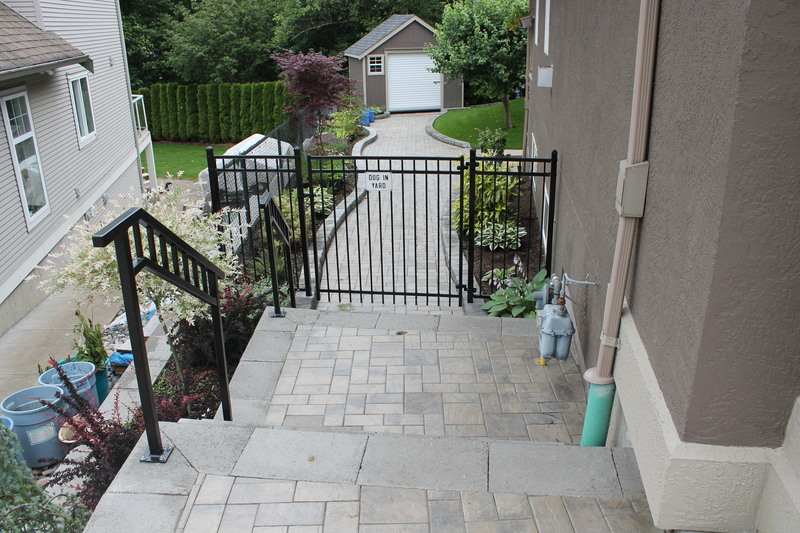 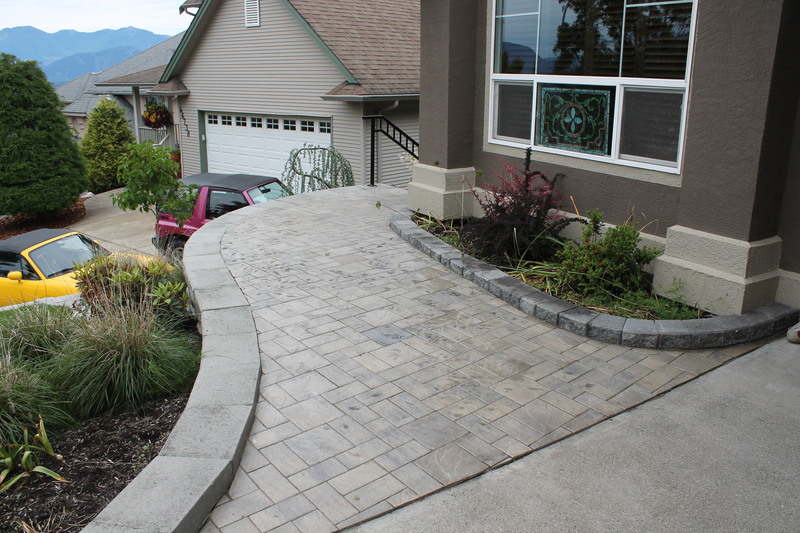 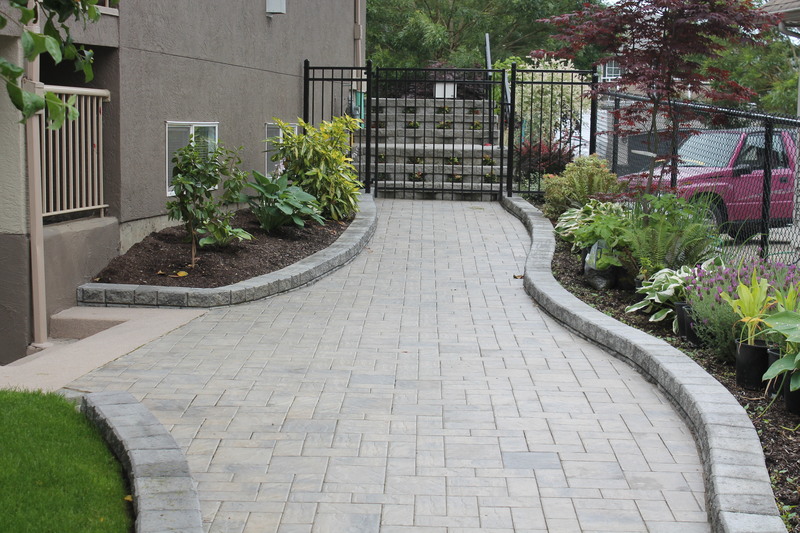 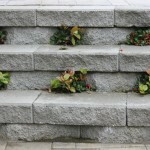 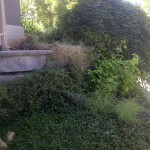 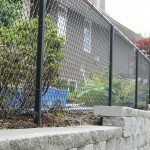 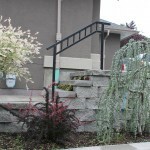 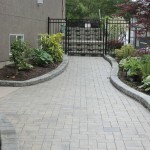 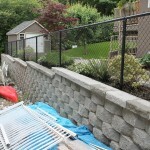 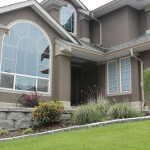 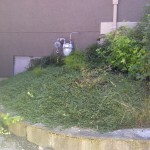 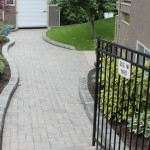 Kent – Full Landscape | LawnPro Landscapes LTD.
Paul and Heather Kent were looking to revamp their entire yard to focus on two things: outdoor entertaining and future Bed and Breakfast. 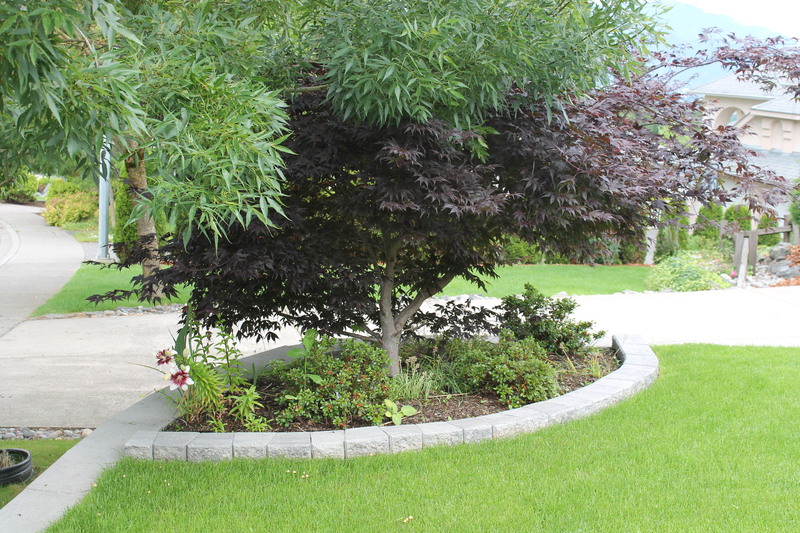 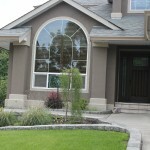 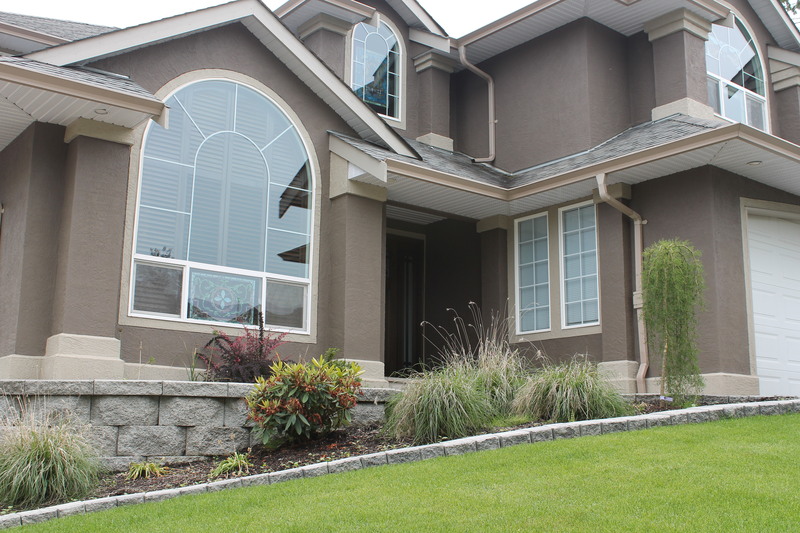 A full front/back and side yard landscaping design was created with the intentions to minimize future maintenance, have a separate entrance for future guests and create a peaceful environment. 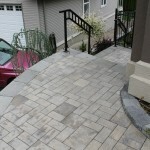 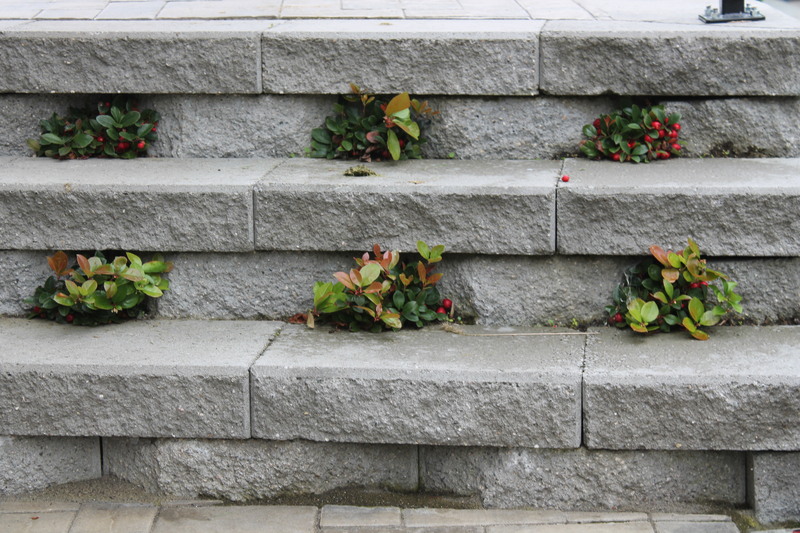 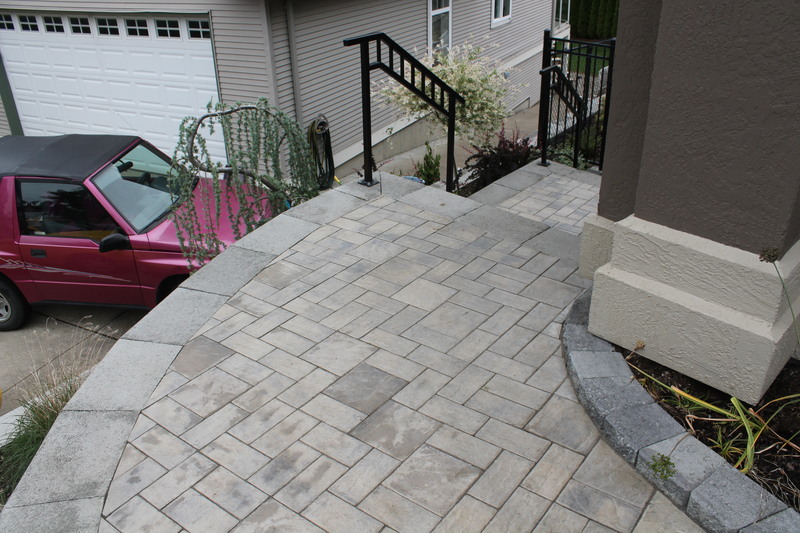 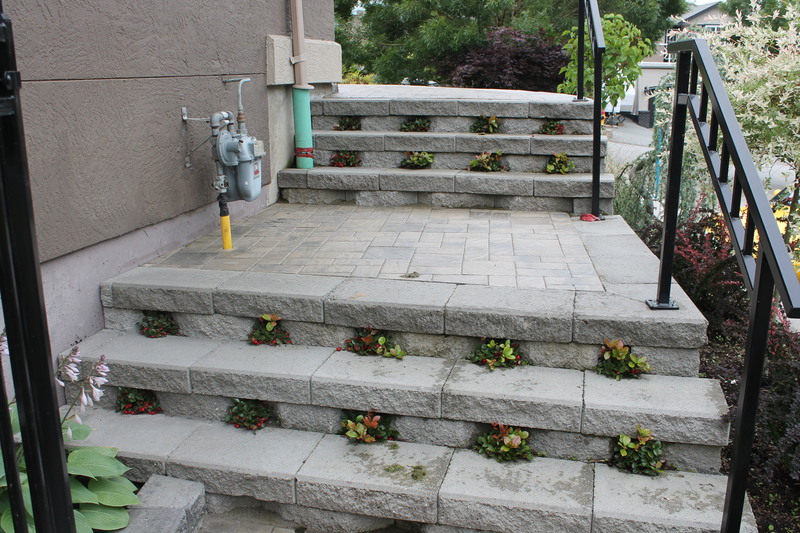 Paving stone pathways were placed from the front door to back with a garden staircase in between. 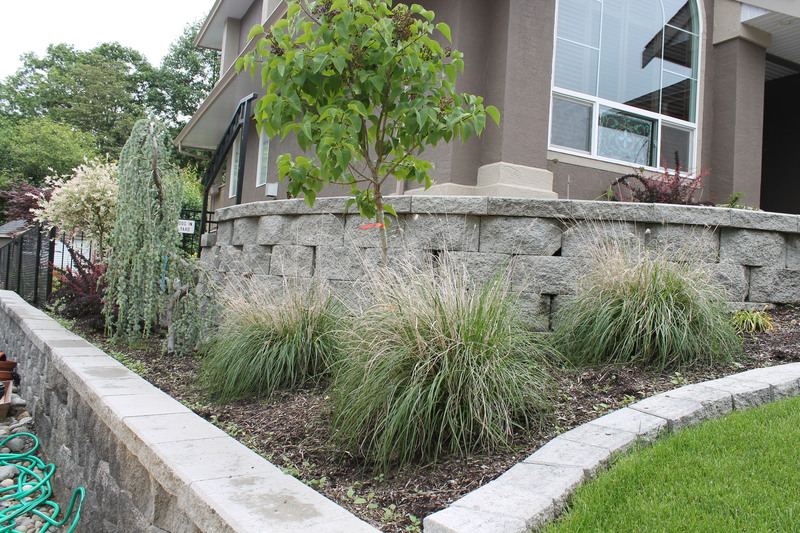 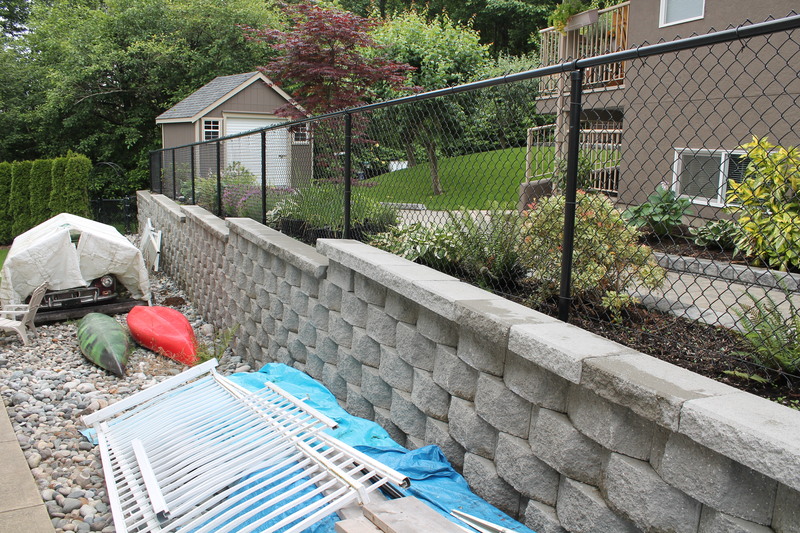 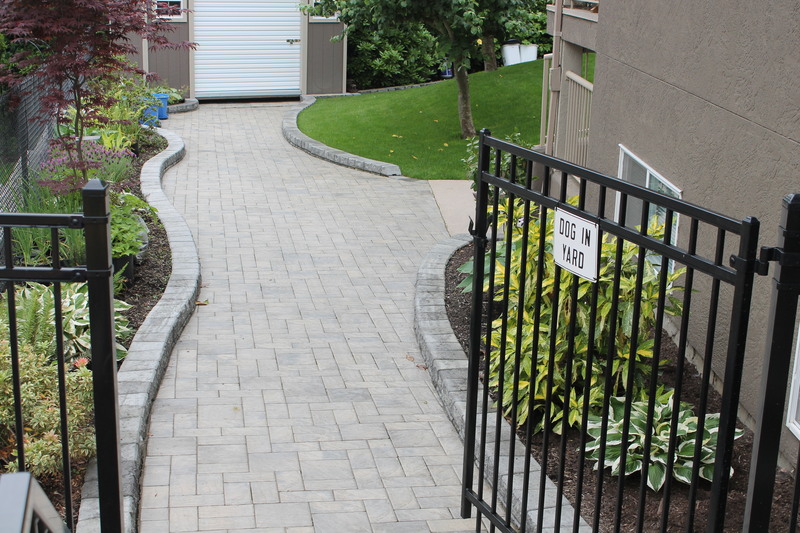 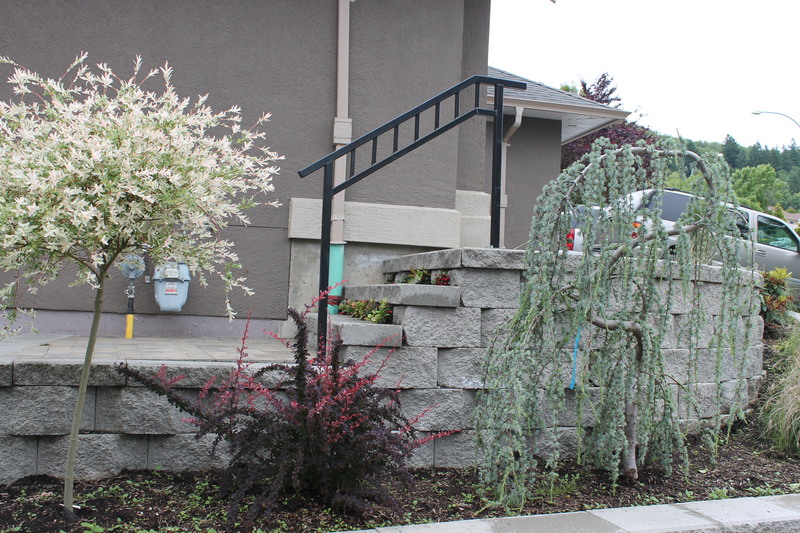 An old boulder retaining wall was replaced with a streamlined Keystone wall to maximize the usable space for the entire property. 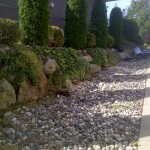 An elaborate drainage system was installed to direct all surface water to a back flowing creek. 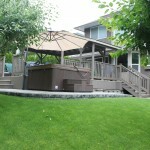 A wooden deck extension was erected to give me entertaining space but match with the existing. 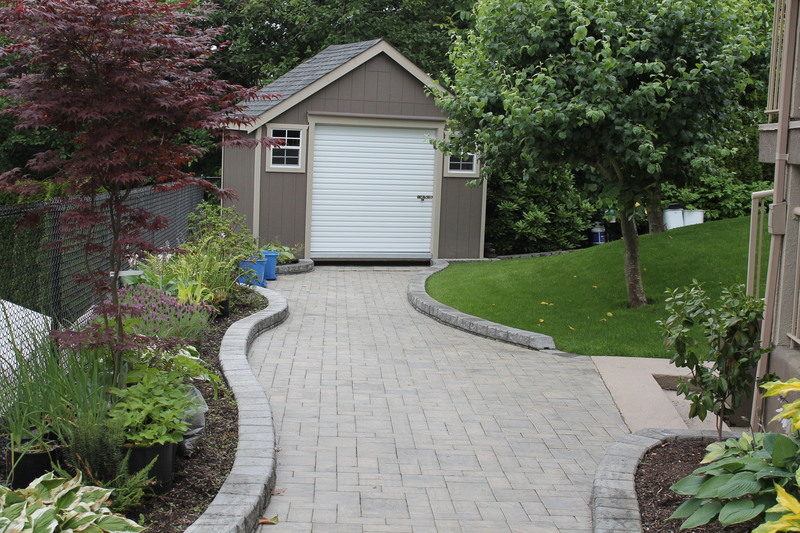 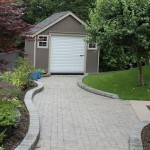 More paving stone pathways were put in place to provide access to a large garden shed and hot tub. 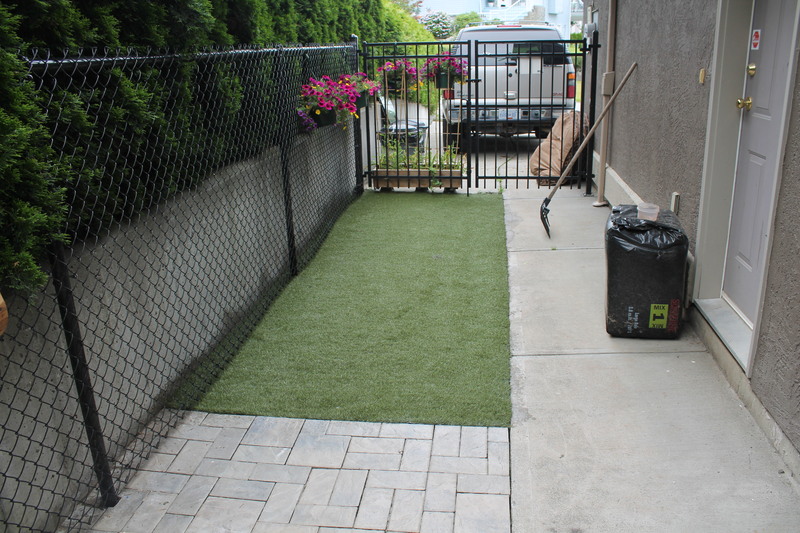 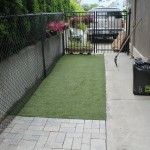 An artificial turf space was created for the resident dogs to use as a play area. 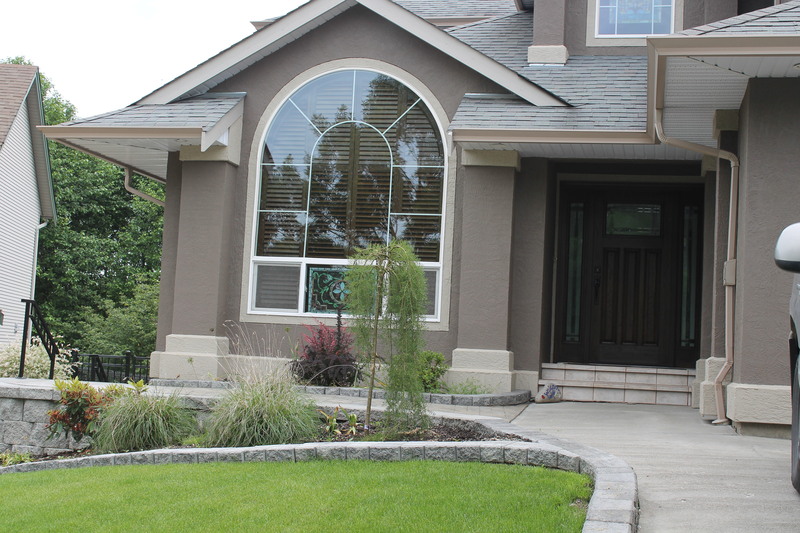 When everything was said and done, after months of planning, design, revisions and construction the entire concept was realized in full.